In 1919 two famous former U-boat commanders, Kptlt. 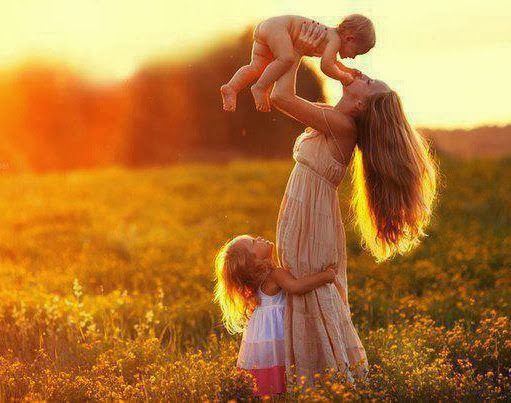 Mellenthin and Kptlt. 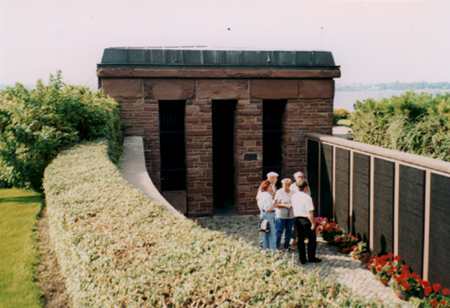 Walther (both Pour-le-merite owners [Blue Max]) came up with the idea to build a U-boat memorial for the U-boat-men lost in action. During the next few years the former U-boat men worked on collecting money, being able to raise enough to start construction in 1926. It took four years of work before in 1930 the memorial was finally opened. In 1930 it paid respect to 5,132 fallen German U-boat-men. 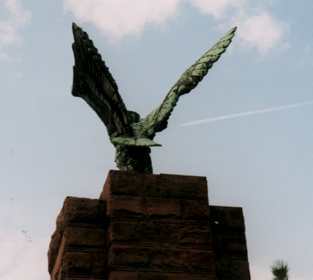 During 1936-1938 the memorial was completely rebuilt and reopened on 12 June, 1938. Some U-boats of the Weddigen flotilla were near the memorial during the ceremony. These photos show just how beautiful and respectful the place really is. It is a really sobering moment to step into the corridor between the lines of plates, World War Two victims on the outside wall and World War One men on the inner one. In September 1970 the memorial was once more re-opened, in the form we know today, showing on 84 memorial bronze plates the names of all fallen U-boat-men in WWII. It was a years long work to collect their names, participating were the former U-boat officers Konteradmiral Godt and the former commander Claus Korth. During the next few years after the opening extensive research revealed 1,237 more names thus calling for 5 further plates to be installed. 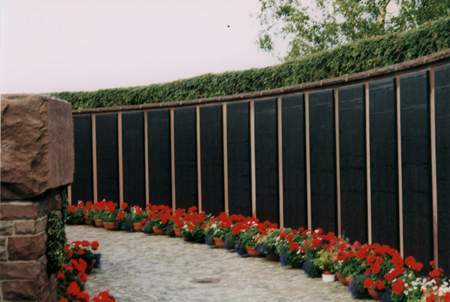 In September 1984 also all the names of the dead U-boat-men from World War One were installed on 27 memorial plates. The plates now contains 28,728 men lost with their U-boats as they were sunk and 1,275 U-boat-men who died from other causes (including the ones lost on the liner Wilhelm Gustloff in January 1945). The plates also contain 8 names, where later it was discovered that the man did survive the war. 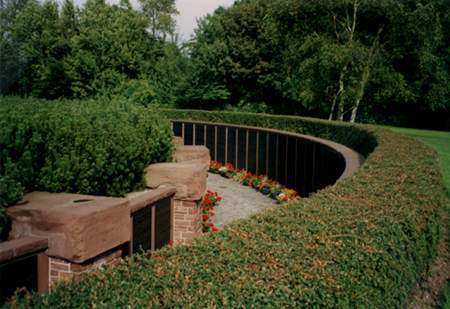 The memorial is in the small town of Möltenort on the outskirts of the city of Kiel in the northern part of Germany. It is very close to the more famous site of U-995. You can reach it both via bus and the Kiel fjord ferries in under 30 minutes from downtown Kiel. All photographs © Guðmundur Helgason 1998.